User friendly controls allow you to set the fill value, PSI, and inspection time for each application. Monitor the count of rejected bottles or containers, as well as the percentage of accepted units. Convenient features include battery back-up, and individual circuit boards for power supply, transducer, and overall electronic control, to simplify maintenance and repair. 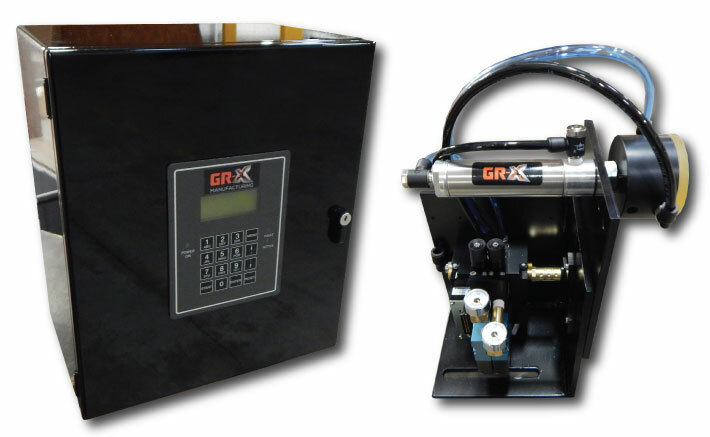 Leak detection: Detects hole as small as .020"
The GR-X trimmer mount leak detector is an industry work-horse that is integrated with trimmer PLC's or stand-alone for simple and effective leak detection. Define your own programs (up to 9 total) and enter them easily using the keypad and LCD display. 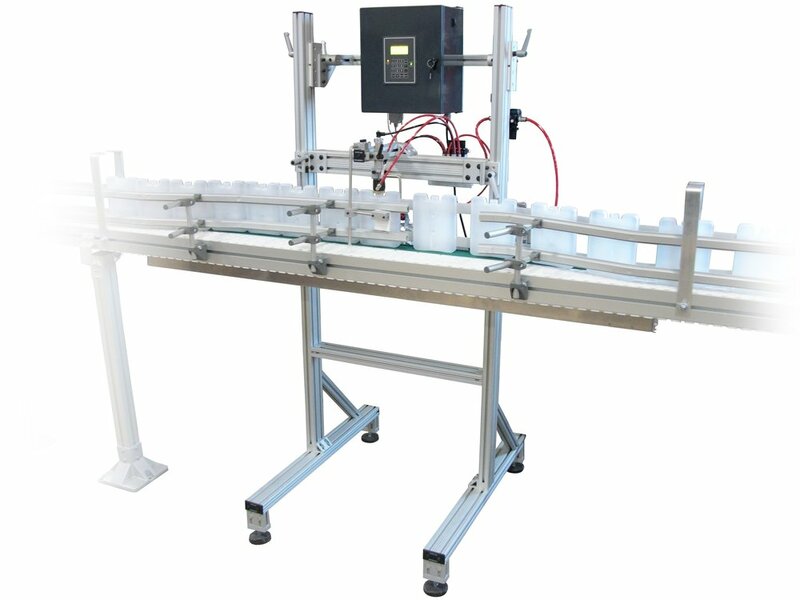 Add optional equipment for additioanl quality control measurement.